Eranda Herbal Spa – Set on a beautiful mountainside with views over the emerald waters of the Gulf of Thailand, the Eranda Herbal Spa has a truly exceptional location and epitomises the natural luxury spa experience. Cascading waterfalls; stunning architecture, with thatched roofed pagodas and natural materials; beautiful tropical landscaping; stone walkways and stepping stones leading you up through the spa grounds and gardens; spectacular sea views; and graceful, polite and attentive staff all add to the atmosphere of peace and serenity at this spa. The Eranda Herbal Spa has the relaxing and soothing ambience you would expect from a high quality spa facility, but with an added air of exclusivity and luxury that completes the ultimate pampering experience. Eranda currently has eight luxury private salas with air conditioning and open air and one large sala for groups of up to eight people. There’s an extraordinary steam room fashioned out of natural rock and also a cool plunge pool , private steam room with Jacuzzi bath. The tropical gardens add to the natural and peaceful ambience. 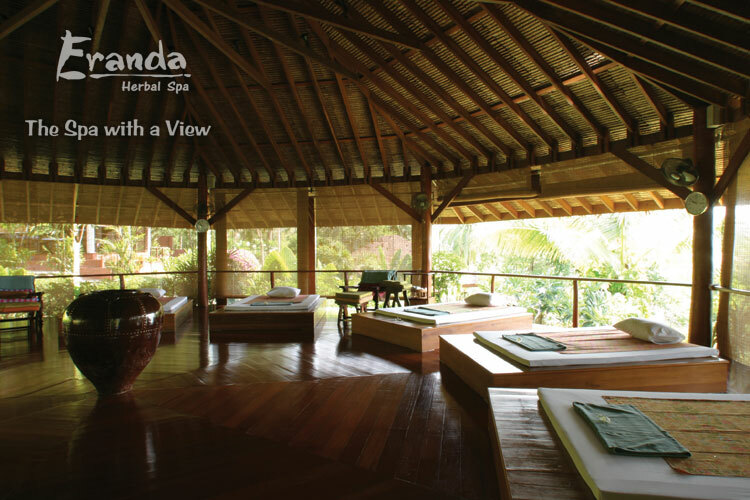 Eranda may have the appearance of an exclusive five-star resort, but be assured this is purely a Spa environment. There’s nothing here to distract you from your treatment selected. In fact, all one hears is the sound of trickling water, the rustle of palm trees swaying in the breeze and the hushed tones of subtle Thai music. The relaxing and soothing ambience is what you would expect from a high quality spa facility, but Eranda has an added air of exclusivity and luxury that completes the ultimate pampering experience. The highly qualified and professional therapists consistently exceed customer expectations and satisfaction. And, by using natural products and traditional treatments the Spa helps to protect and preserve the natural environment. The amazing sea views and peaceful ambience have formed the foundation which has enabled the spa to grow, develop and improve over the years. 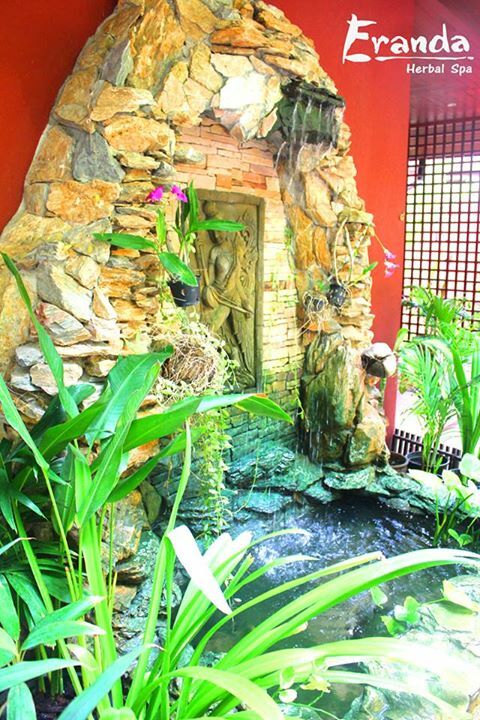 Eranda Herbal Spa is easily found, located just off the road leading from Chaweng beach road to Samui Airport. It’ s up the hill directly opposite Nora Beach Resort. 5 minutes from the airport before Chaweng centre. Please contact us for spa booking.